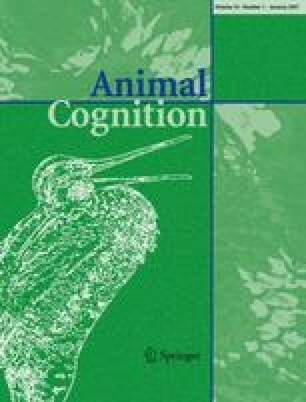 Several studies have demonstrated that mammals, birds and fish use comparable spatial learning strategies. Unfortunately, except in insects, few studies have investigated spatial learning mechanisms in invertebrates. Our study aimed to identify the strategies used by cuttlefish (Sepia officinalis) to solve a spatial task commonly used with vertebrates. A new spatial learning procedure using a T-maze was designed. In this maze, the cuttlefish learned how to enter a dark and sandy compartment. A preliminary test confirmed that individual cuttlefish showed an untrained side-turning preference (preference for turning right or left) in the T-maze. This preference could be reliably detected in a single probe trial. In the following two experiments, each individual was trained to enter the compartment opposite to its side-turning preference. In Experiment 1, distal visual cues were provided around the maze. In Experiment 2, the T-maze was surrounded by curtains and two proximal visual cues were provided above the apparatus. In both experiments, after acquisition, strategies used by cuttlefish to orient in the T-maze were tested by creating a conflict between the formerly rewarded algorithmic behaviour (turn, response learning) and the visual cues identifying the goal (place learning). Most cuttlefish relied on response learning in Experiment 1; the two strategies were used equally often in Experiment 2. In these experiments, the salience of cues provided during the experiment determined whether cuttlefish used response or place learning to solve this spatial task. Our study demonstrates for the first time the presence of multiple spatial strategies in cuttlefish that appear to closely parallel those described in vertebrates. We thank Dr. J. Lejeune for statistical advice and the staff of the C.R.E.C. for their technical assistance. This research was supported by a grant from the Ministère de la Recherche et de la Technologie to C.A. The experiments complied with the French animal testing laws.